Some pairs of places resonate with a familiar ring — Singapore and Bangkok, London and Paris – but not so with Fukuoka and Okinawa: one a very modern Japanese city and the other an island with the feel of a tropical destination. Yet they do have aerial connections: one is a grim and tragic reminder of the past, the other is good news for today’s travellers. Towards the end of World War II it was from Fukuoka that kamikaze pilots took off on their suicidal flights to defend Okinawa from American invasion forces. The invaders never really left for there are still large US military bases on the island filled with some 30,000 personnel. The good news is that nowadays Peach Airlines (flypeach.com) flies daily between Fukuoka and Okinawa at budget prices so it’s easy and affordable to enjoy the benefits of both places. Fukuoka’s airport is so close to the city centre that building height restrictions mean an absence of skyscrapers and there is a sense of open space to the city that feels liberating after experiencing the urban density of Tokyo. Fukuoka Tower (234m) dominates the skyline and it’s worth making the vertical ascent to take in the panorama and appreciate the city’s position on the coast. Fukuoka Tower is by the seafront in an area built on reclaimed land and the Hilton Sea Hawk (hilton.com) backs onto one of the beaches. The hotel has over a thousand rooms but it’s built on a scale to accommodate them comfortably and a corner bedroom is the type to snag because of the 1800 views they command, looking out to an expanse of sea and small islands. Fukuoka is the capital of Kyūshū, the third-largest of Japan’s islands, and indisputably its gastronomic center. Indeed, when it comes to ramen, the city is the capital of Japan. It is most famous as the home of tonkotsu, noodles in a milky pork-bone broth, and the place to go for a slurpy repast is Hakata Ippudo, the original noodle restaurant of what is now an international chain (there are two outlets in London). The original restaurant does not go in for fancy décor but its simple wooden tables are rarely empty as patrons love the food and the free refills of the fragrant broth. For a knowledgeable and fun account of what makes Fukuoka ramen so distinctive, dip into Rice Noodle Fish by Matt Goulding (Hardie Grant Books). You might think going to Hakata Izumi (hakata-izumi.com/English) is like playing Russian roulette with your stomach given that Fukuoka’s best restaurant specialises in serving the potentially fatal-to-eat blowfish, aka pufferfish, aka fugu. Assured by the restaurant winning two Michelin stars and on being told that the chef-owner has been extracting the tetrodoxin from the gut of the fish for four decades there was no hesitation in sitting down to enjoy the most unusual meal I’ve ever experienced. 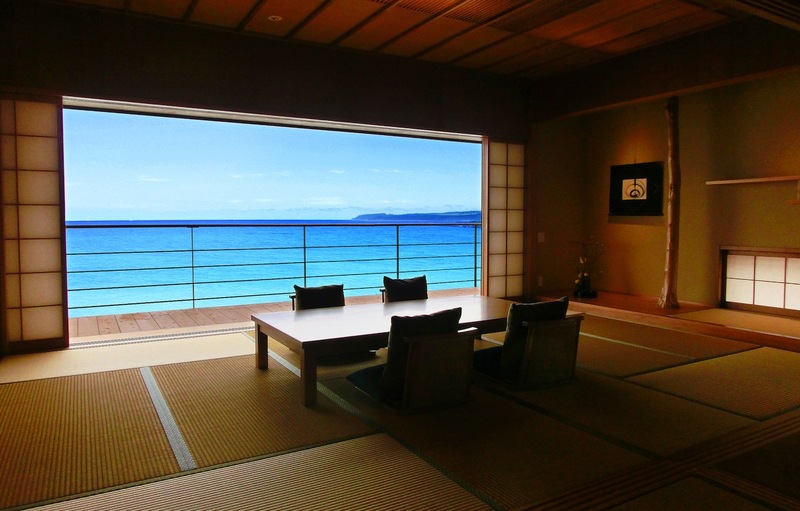 From Fukuoka it costs only £12 for a return train ticket and a one-hour journey to a northwestern corner of Kyūshū where the town of Karatsu is scenically nestled on the coast. This is small-town Japan –no giant electronic advertising, no rush hour –where time dawdles past while strolling along the seafront, visiting an old castle atop a hill and exploring the pottery studios. Karatsu is famous for its unique pottery and at Yoyokaku (yoyokaku.com), the ideal place to stay, there is a gallery and shop of ceramics from the kilns of the renowned Takashi Nakazato, his son and his daughter: earth-toned, exquisite to touch and hold and impossible not to purchase at least one piece. Yoyokaku is a ryokan (traditional inn), built from local cedar wood, its interior divided by shoji (paper screens). 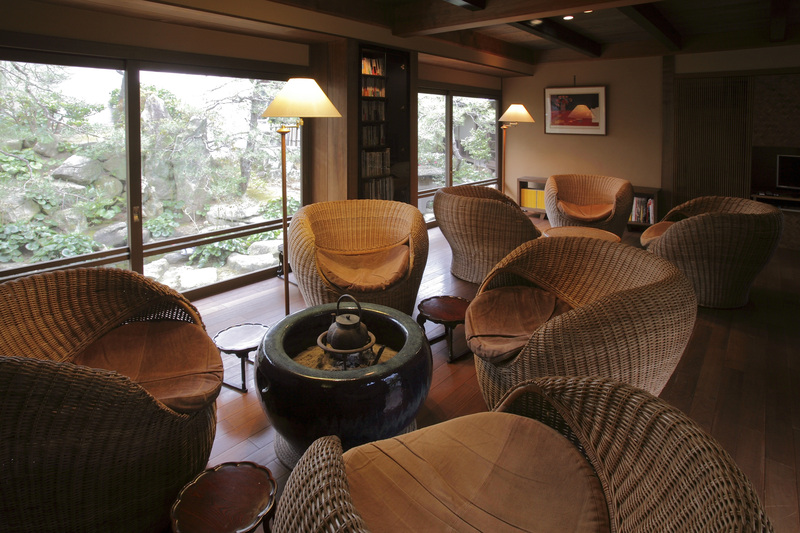 There are zen moments to enjoy in contemplative calm in the lounge that looks out to a perfectly proportioned Japanese garden where the pine trees are over 200 years old. Dinner is served in your room, a mini-feast of small dishes prepared in myriad ways: grilled, raw, cooked in soy sauce, deep fried, pickled. 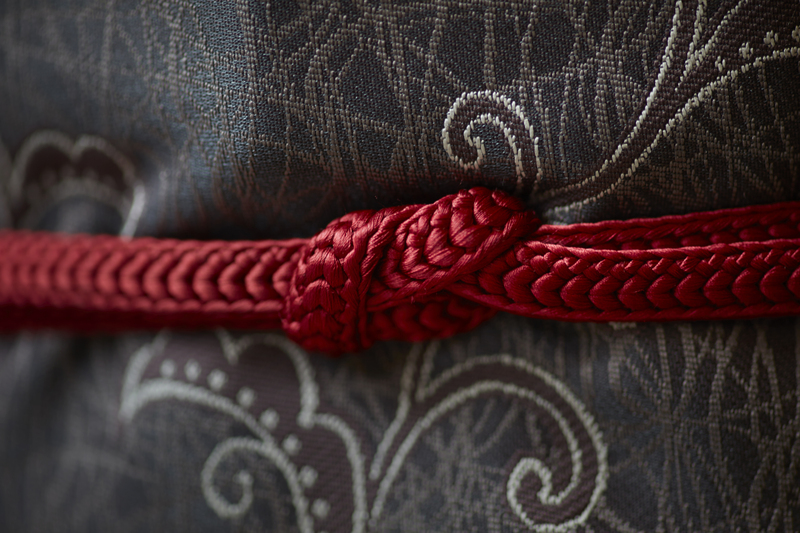 Yukatas, traditional cotton robes, are in the bedrooms and when you’re back in Tokyo head to Oriental Bazaar (orientalbazaar.co.jp/en) to buy some for yourself, friends and family. From Karatsu a return train will return you to Fukuoka or direct to the airport for a flight to Okinawa that takes less than two hours. You arrive on an island that is closer to Taiwan than Kyūshū, part of a culturally distinct archipelago that was annexed by Japan only in 1879, and the palpable sense of being apart from mainland Japan never goes away. The climate and vegetation is sub-tropical and the ubiquitous cherry blossom trees bloom into colour here six weeks earlier than the rest of the country. Naha is the centre of urban life, dominated by the gaudy International Boulevard that stretches for well over a mile, packed with bars, restaurants and souvenir shops. Ukishima Garden is down a street that runs off the main drag, serving the kind of food that makes Okinawans the longest-living citizens of Japan. No meat or fish is served but you won’t miss it and reluctant vegetarians will not be disappointed by the Mediterranean-style meals that only use produce grown on the island. For fish, head to Makishi public market in Naha where you purchase your sashimi set and take it upstairs to eat at any of the food stalls or try goya-chanpuru (bitter melon stir-fried with pork) from the menus. Goya, a plant of the gourd family (Mordica Chaarantia Linn) rich in vitamins C and B, has been grown and eaten on Okinawa for centuries. Sea grapes, looking like caviar but actually a seaweed, are a local delicacy and go well with whatever is on your plate. Naha is fun while to the south Okinawa Peace Memorial Museum is a sad and very moving reminder of the terrible experience islanders suffered during the Battle of Okinawa in 1945. The eyewitness accounts and photographs are hard to take because Okinawans were innocent victims in a conflict they knew little about, caught between the Japanese and American military that between them destroyed their world. Hyakuna Garan (.hyakunagaran.com), away from Naha on the eastern coast, offers the kind of tranquillity that is needed after touring the war sites. Bedrooms, reached along limestone corridors, look out on mountains and the sea, and a huge Buddha face carved out of rock helps create a calm and restful atmosphere. The Japanese breakfast should prove memorable as it includes island-grown specialties like shredded green papaya and mozuku, a vinegary dressing that tastes sweet and smooth. Japan, as Bill Murray and Scarlett Johansson discovered in Lost in Translation, gets under the skin and mysteriously makes you reflect on your life. I returned with two resolutions: to build a Japanese garden using only rocks, sand and a solitary small pine tree; and be more gracious towards myself and others. Go to Fukuoka, Karatsu and Okinawa and you too will experience the Japanese concept of shibui — and if, as with me, it only lasts for a short time that doesn’t make it completely worthless. I flew Air France (airfrance.com) to Tokyo via Paris. From the capital, Japan Air Lines (jal.com) flies to Fukuoka or get there by train with a Rail Pass (japan-experience.com). The Lonely Planet’s Japan guide helps on the ground.